One of the only remaining traces of D.C.'s Shomrei Shabbos orthodox Jewish community is endanger of being lost. Samantha Bass and Zachary Paul Levine of the Jewish Historical Society of Greater Washington fill us in on the story. Thanks, Samantha and Zachary! Remnant of mural with added lion. Image by Patricia Fisher, Fisher Photography, 2014. Twenty-one years ago, homeowner Stephanie Slewka made a fascinating discovery on the second floor of her 19th century townhouse at 415 M Street, NW: a mural concealed beneath layers of paint and wallpaper. As if peeling back layers of time, she found one of the only remaining traces of Shomrei Shabbos, a small orthodox community in downtown Washington that worshiped in the townhouse. The nearly 90-year-old mural was the upper portion of a larger piece that had surrounded the synagogue’s ark on the floor below. 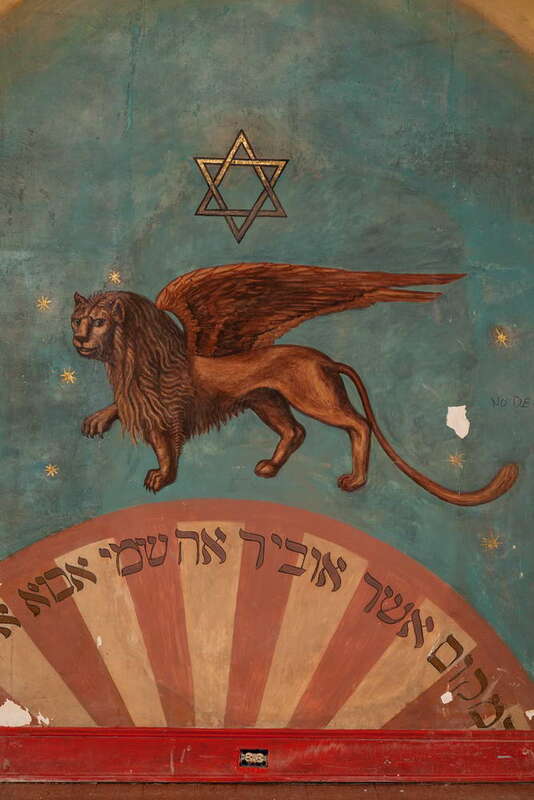 Slewka contacted the Jewish Historical Society of Greater Washington, and with their guidance and help from artist Nicholas Kahn, she worked to restore the celestial scene, Jewish star, and a portion of the biblical quote that encircled the ark. She and Kahn added a winged lion. As a professional filmmaker, Slewka also produced a film about the building and the different communities that made it a home. Decades later, that same mural is in danger. 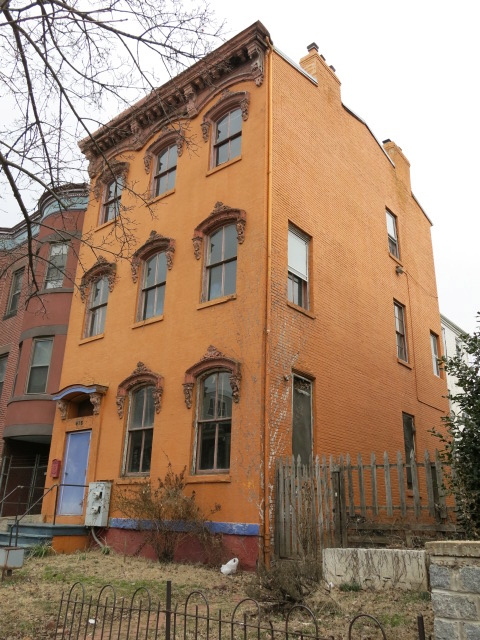 Plans to convert the building into condominiums threaten the survival of this unique piece of Washington Jewish history. 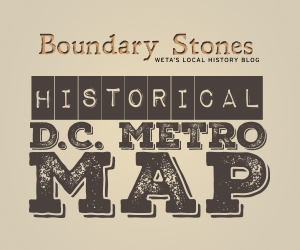 Built in the 1860s, the story of 415 M is the story of the changing urban fabric of Washington, D.C. Originally a private house, the building became the Young Men's Hebrew Association in 1914, and, from 1915-1925, the first Hebrew Home for the Aged. Shomrei Shabbos, the Jewish congregation, purchased the building in 1925 and left in the 1930s. When the congregation converted the building into a synagogue, they removed part of the second floor to create a balcony from which the women could view religious services below, where the men sat. The mural is adjacent to a part of the floor that was removed to create a women’s balcony when 415 M was a synagogue. Although the floor boards were subsequently replaced, the visible incongruity indicates the outline of the earlier hole between the first and second floors. Patricia Fisher, Fisher Photography, 2014. From 1947-1980, 415 M was home to the Baptist Church of Jesus Christ. Founded by Mother Lean Sears, it was one of the only Baptist churches where women were permitted to preach at the time. In 1984 the Metropolitan Community Church, a ministry to the LGBT community, took over the space. In 1993, the building once again became a private home, and has since been added to the Mount Vernon Square Historic District. The building contains other evidence of previous occupants. Notes etched into a windowpane by a resident in the 1890s are visible on the second floor. A baptismal from the building’s use as a church is still accessible via a trapdoor on the first floor. In 2013, 415 M Street was sold to BlackRock Holdings, a custom home building company based in McLean, VA, that will convert the property into a multi-unit condominium later this summer. BlackRock is providing the Society with access and encouragement in efforts to document and save the mural. 415 M Street as it looks today. Photo courtesy of Prince of Petworth. 415 M Street is one of five former synagogues clustered in the Penn Quarter and Mount Vernon Square neighborhoods, the historic heart of Washington's Jewish community. For about a century, the downtown Jewish community was part of a diverse, polyglot population that included Germans, Chinese, African Americans, and others. With this neighborhood’s fascinating history in mind, the Society has been leading walking tours highlighting former synagogues, Jewish-owned department stores, and former residences for decades, and is planning a new research effort surrounding the five former synagogues. The Society hopes to save the mural before construction starts later this summer. A photographer was commissioned to document the mural, and a professional paint analysis is planned. A proposal is in hand from a conservation firm to remove and conserve the mural’s original portions. 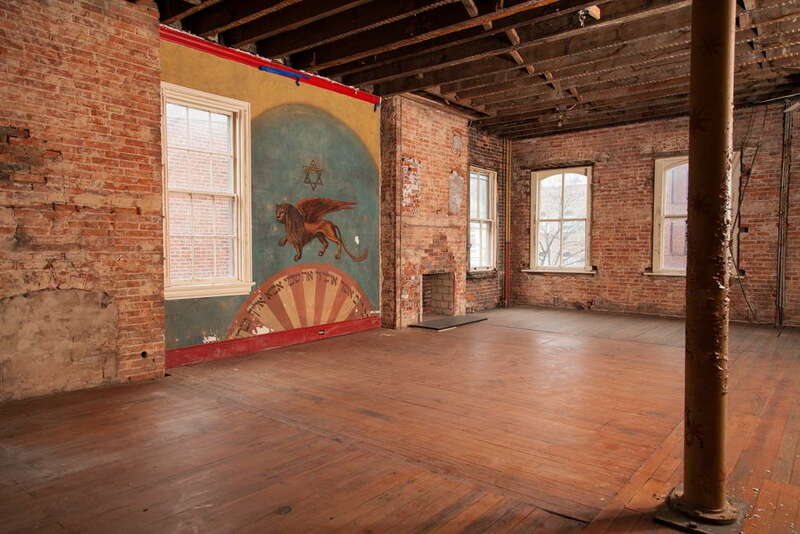 This ambitious project requires at least $20,000. The Society has created a website to educate the public about 415 M’s rich history and to solicit donations. To learn more about the mural and 415 M St, NW, and to donate to this effort, visit www.jhsgw.org/savethemural, or call the Society at (202) 789-0900. You’ve visited the Unknown Soldier at Arlington Cemetery. But do you know about the Tomb of the Revolutionary War Unknown in Alexandria, VA? Washingtonians saw a strange sight on December 18, 1969: a nearly 100-year-old synagogue rolling down city streets.